The Lesser Prairie-Chicken (Tympanuchus pallindicintus) is a very distinctive bird. During breeding season, the males aggregate to put on an elaborate courtship display composed of raised feathers, a series of rapid stomping followed by "booming" and inflating a pair of bright orange air sacs on the side of their necks. But life as a prairie chicken is not so great these days, since the early 1900s, their population and range has shrunken by over 90 percent, mostly due to habitat loss and fragmentation from agriculture and industrial developments. On top of that, they have to deal with Oxyspirura petrowi - a nematode (roundworm) parasite that lives in their eyes - on the front and/or behind the eyeballs. And these worms aren't small either, they can grow to more than 15 mm long and they feed on blood too, causing severe haemorrhaging and swelling around the eyes. So being infected with O. petrowi can cause a significant impairment to the host. Based on studies on a related species - Oxyspirura mansoni (which infects poultry) - it is most like that the prairie chicken are infected when they eat arthropods which contain the larval stage of the worm and research is still under way to try and figure out which arthropod is the carrier. 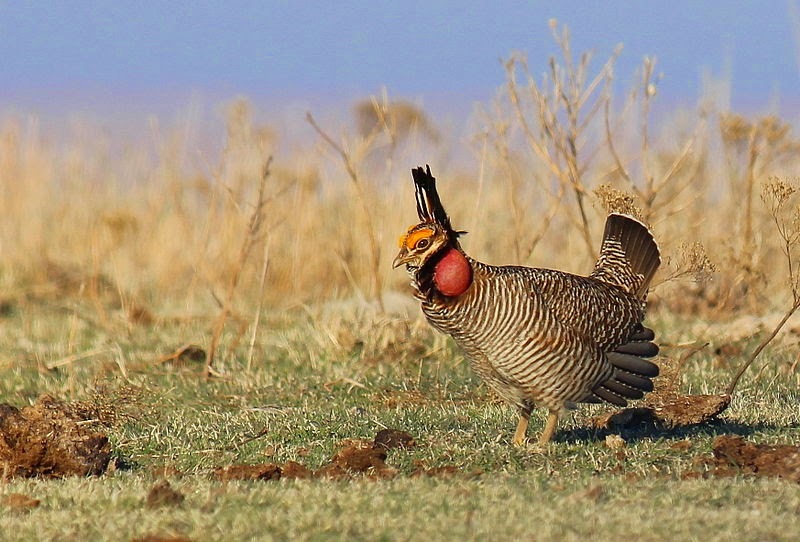 The lesser prairie-chicken is not the only bird that gets infected by O. petrowi, this worm also infects various game birds like pheasants and quails, as well as some migratory songbirds. If a bird cannot see properly, then it is not going be very good at flying without eventually hitting something. And some prairie-chickens have been reported to fly into vehicles or even the side of barns. Obviously such birds are not going to be very good at evading predators if they cannot even avoid flying into a barn. So is the worm also contributing to the prairie chicken's decline, or something else? Mercury and lead are both metals that can contaminate the environment as by-products of burning fossil fuel, spent ammunition, and industrial activities. Both have well-documented toxicity effects on animals including neurological damage that results in sensory impairment, convulsions and behavioural disorders. Another common pollutant is organochloride. While organochloride pesticides have been banned or restricted for years, they can linger in the environment for a long time and accumulate up the food chain. In high enough dosage, such pesticides have been known to cause reproductive impairment as well as convulsion and emaciation in birds. The researchers behind this study analysed the level of these chemical pollutants in the organs of some prairie chickens from Kansas, and while they found traces of all three in the prairie chicken's organs, they were all below the level at which they would being harmful. The level of organochloride was just as they had expected given the birds were from an area that used to be a farmland. As for the two metals, the lead levels lower than toxicity level and the levels of mercury were below detectable limits. What they did find was a higher prevalence of O. petrowi than they had expected from the region, and some of the birds they examined had up to 16 worms in their eyes. It is worth noting that the birds these researchers sampled were donated by hunters, so it is likely that the eyeworms made them easier targets. So is O. petrowi playing a role in the prairie chicken's decline? 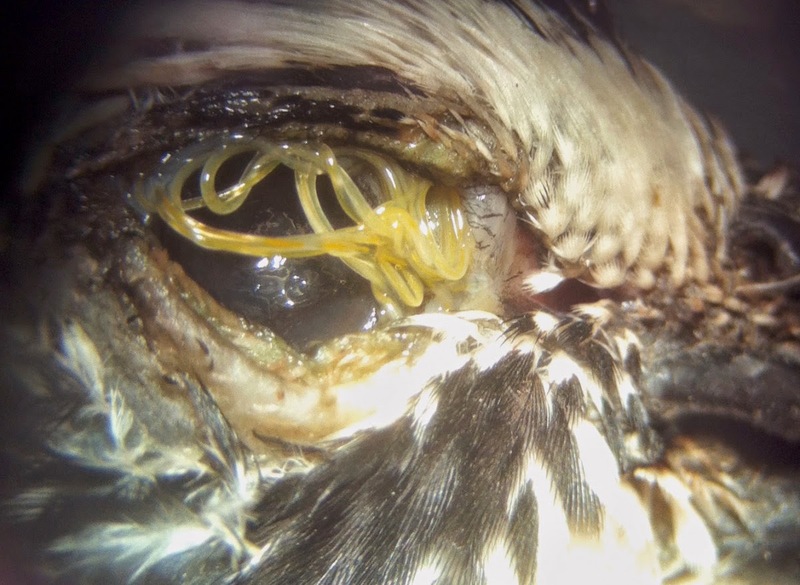 It seems unlikely given that birds like bobwhites have been documented to be infected with even higher levels of this worm. But its presences is certainly not helping and may interfere with some conservation practices. For example, one current conservation practice to put up signs and coloured marking tape around fence lines to reduce bird-fence collisions. The idea is that the fences are clearly marked out so the prairie chickens can avoid running into them. But if they are half-blind from having a bunch of worms in their eyes, they might instead end up using those markers as targets and fly headlong into the fence. When trying to protect any species in a complex environment, it is important to also take their parasites into account, as their presence might confounds your expectations. To save the prairie chickens, you might first have to understand the eyeworm. Dunham, N. R., Peper, S. T., Baxter, C. E., & Kendall, R. J. (2014). 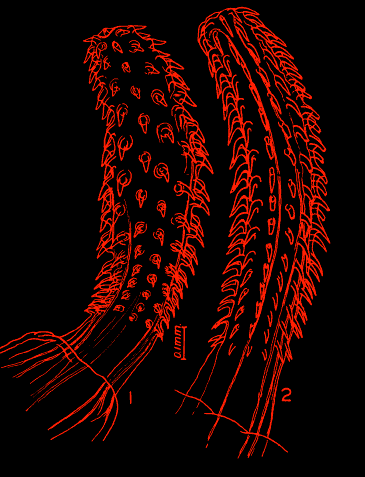 The Parasitic Eyeworm Oxyspirura petrowi as a Possible Cause of Decline in the Threatened Lesser Prairie-Chicken (Tympanuchus pallidicinctus). PloS One 9, e108244. P.S. You can read my article about other blinding parasites in The Conversation here. Life is dangerous for a little crustacean like a freshwater amphipod. There are all kinds of things out there that would like to make a meal out of you, so you would sure want to get out of the way at the first sign of any would-be predator. While our sense of smell is relatively poor, other animals live in a far more aromatic and pungent world, filled all kinds of chemical signals. When it comes to chemoreception (what we would consider smell and taste), amphipods can tell the presence of a predator in main two ways, either smell their presence directly through the kairomones (basically BO) they release, or indirectly from the alarm chemicals of dead compatriots (so essentially, the scent of death). However, this can be big problem for some parasites of these little crustaceans, as they need to be eaten by a predatory animal in order to complete their life cycles. In that case, some of these parasites have ways of making sure that their host never see (or in other ways sense) it coming when a predator comes knocking. 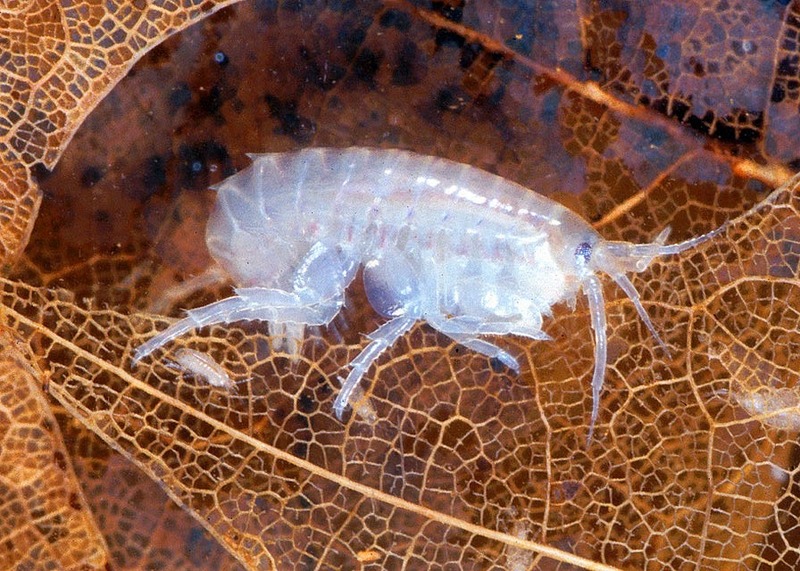 Hyalella azteca is a common species of amphipod that is found in many freshwater habitats in North America. It is also host to the larval stage of a thorny-head worm call Leptorhynchoides thecatus. For this parasite to complete its life-cycle the amphipod host needs to be eaten by a fish - such as a green sunfish - something that the amphipod is certainly not okay with. However, regardless of what the amphipod wants, the parasite needs to reach a fish's gut, and it does so by overriding the crustacean's usual response to alarm chemicals in the water. A pair of scientists conducted an experiment to see this in action. First they made some scent solutions that correspond to the ones that the amphipods would usually respond to in the wild. Alarm chemical from dead or injured H. azteca was relatively straight forward to make as it simply involved mushing up some amphipods in a bit of water to get this "scent of death". But to get some liquid fish BO, they collected water from a tank housing green sunfish which had been circulating for a day without a carbon filter, so the water has been saturated with the "essence of fish" as it were (I'd imagine neither scent would sell all that well if you release it as a line of perfume or cologne). To see how the amphipods reacted to the scents they've prepared, the scientists placed each H. azteca individually in an observation chamber which has a small shelter at the bottom. After it has settle down, they either drip a bit of that "scent of death", or some of the "essence of fish", or just plain water into the chamber, and watched the amphipod's response. When uninfected H. azteca catch a whiff of fish BO or the scent of their dead companions, they hid in the shelter and try to keep still (especially at the scent of dead amphipods). But not the amphipods infected with L. thecatus - regardless of what's in the water, they just stayed completely oblivious and carried on with whatever they were doing as usual, as if the scientists had just added plain water to the chamber. If it had been in the wild, those infected amphipods would have been quickly snapped up by a hungry sunfish (and made L. thecatus really happy, if worms are capable of being happy...). Being visual animals, we humans tend to take more notice when parasites manipulate their hosts in a flashy way that catches our eyes. But there are other ways that parasites can manipulate the sensory world of their hosts in order to complete their life cycle. We have not paid as much attention to those other senses - perhaps it is time that we do so. Stone, C. F., & Moore, J. (2014). Parasite-induced alteration of odour responses in an amphipod–acanthocephalan system. International Journal for Parasitology 44: 969-975.